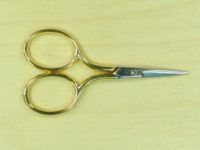 All these scissors are made in Italy and are of the best quality, so they are wonderfully sharp right to the points as well as being very pretty. 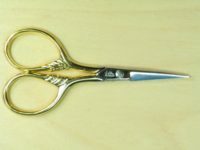 I have included a pair with larger bows, these are ideal for those of you with large fingers or arthritic joints. 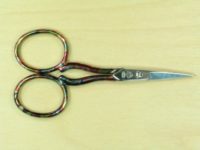 The coloured marbled scissors are difficult to photograph because they are shiny but they are unusual and tone beautifully with the colours of a lot of the items. 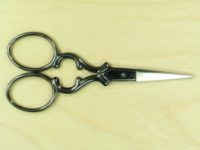 The Ring Lock Scissors were developed in Italy and instead of a screw holding the blades together there is a Teflon bearing which self-lubricates and never loosens so the blades will be set for ever. 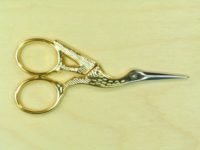 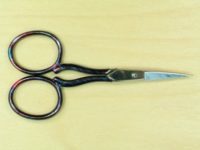 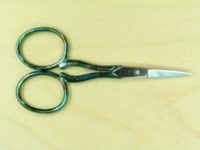 These stylish scissors are the best ones I have ever found – they sit beautifully comfortably in your hand and I have several customers who have bought them for all their friends as well as themselves. 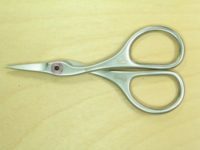 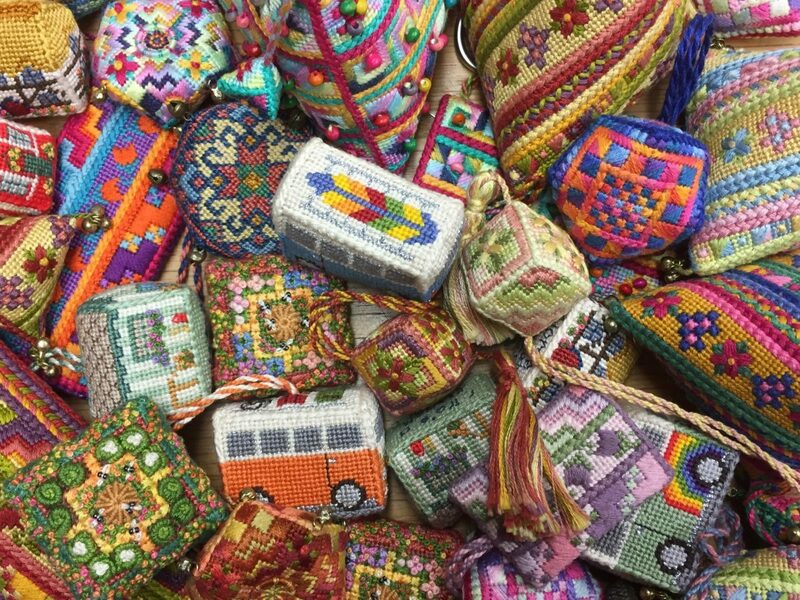 The thread cutters are perfect if you want to stitch on a plane where scissors are not allowed. 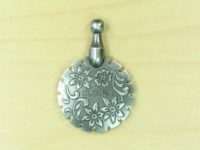 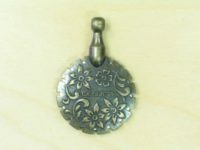 They are available in Antique silver or gold finish. 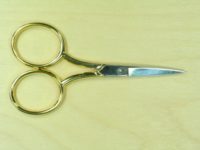 View basket “Stork Scissors” has been added to your basket.